There are a lot of LIDAR Countermeasures (Laser Jammers) on the market. Some are the same price as ours, some cheaper and some more expensive. None of them offers the level of protection of the Laser Interceptor for the price. You can't beat it! Usually, two is better than one. In the case of laser pulse detection, obviously this is the case as well. The better the detection, the better the Jamming! Speed and accuracy ensures quick processing times with precise timing necessary to defend against the latest LIDAR threats. More power is usually better. Unlike most other Laser Countermeasures, we use a powerful OSRAM SPL90-3 Pulsed Laser Diode (the same device used in actual Police LIDAR Guns) to ensure maximum effectiveness. Unlike the competition, when actively jamming a LIDAR unit, there is no "JAM" codes on the laser gun display. The LIDAR operator has no idea they are being jammed. Would you like to have a simple parking aid which beeps when a solid object is in front of the unit? Maybe you only want to use the LI as a parking unit? This feature is built in. There is only one cable leading each sensor to the CPU. Once each sensor is properly installed and leveled, connections to the CPU mounted inside the Cockpit are made easy with simple, snap-in RJ12 Connectors and a single Molex type Connector for the CPU's 12V and other ancillary functions. Mounting the LED equipped switch completes the installation. New LIDAR? LI Is Firmware Upgradeable! All our units are Firmware upgradeable and are never obsolete and the Newest Generation 8 Laser Interceptor now features FREE User Downloadable Updates! When new LIDAR threats are deployed by Law Enforcement, newly released firmware can be downloaded in to the device to address and defeat these and any future LIDAR threats. 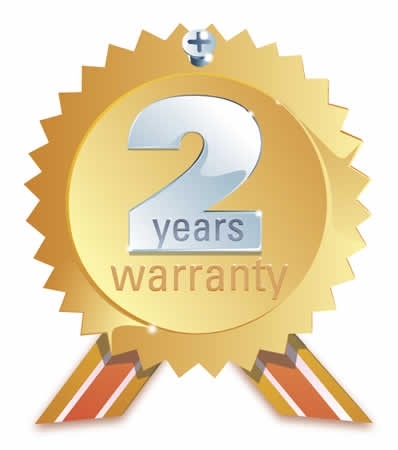 We provide a Two Year Warranty on Components and Workmanship.